Cream solid casual mid-rise maternity palazzos, has an elasticated closure, ankle length . 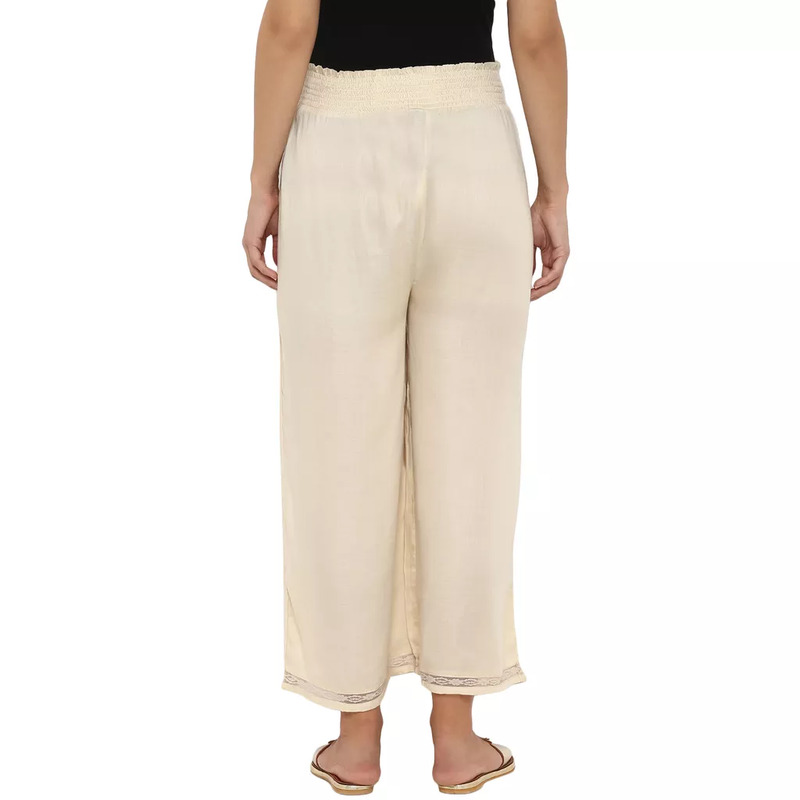 Light up your look with these chic and comfortable Mamacouture palazzo trousers. 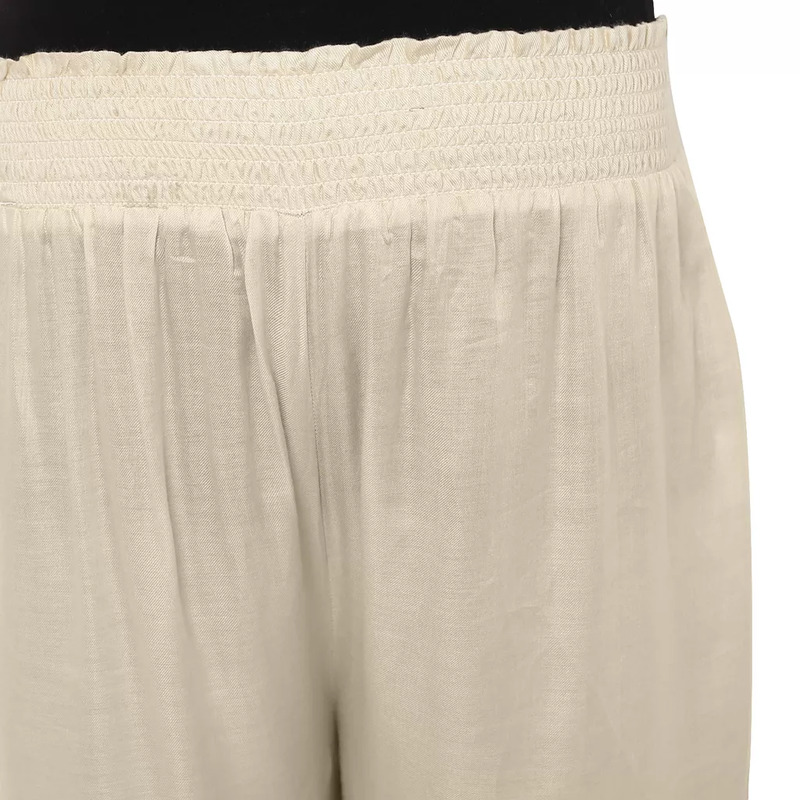 This solid Cream pair offers a dressier look for your basic tee and crop tops when you're going out with the girls.